Seatbelts were invented by English engineer George Cayley in the mid-19th century, though Edward J. Claghorn of New York was granted the first patent on Feb. 10, 1885, for a “safety belt.” Claghorn was granted the patent for a safety belt for tourists, painters and firemen (wait, WHAT?!) who were being raised or lowered, for securing the person to a fixed object. In the 1950s, Dr. Hunter Sheldon made a major contribution to the automotive industry with his idea for retractable seatbelts, an idea that stemmed from his treatment of head injuries in the emergency room. To reduce the high numbers of these injuries, in 1955, he proposed retractable seatbelts, recessed steering wheels, reinforced roofs, roll bars, automatic door locks, and passive restraints, such as the airbag. 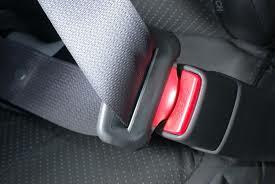 The seatbelt evolution continued when in 1959, Nils Bohlin, an engineer at Volvo, invented the three-point seatbelt. The 1950s were a time when pilots and race car drivers wore harnesses, but seatbelts—where they were fitted in cars—took the form of a rudimentary two-point waist restraint. The reason the three-point seatbelt is so widely adopted is because Volvo opened the patent so that any car manufacturer could use it in its design. Volvo decided that the invention was so significant that it had more value as a free life-saving tool than as a tool from which to profit. Finally in 1966, Congress passed the National Traffic and Motor Vehicle Safety Act requiring all automobiles to comply with certain safety standards, including seatbelts. Seatbelts have been available to be installed on fire apparatus since the early 1960s. The problem is that we as firefighters were under the impression—and our historical behavior dictated—that we couldn’t possibly wear them with our gear (packing up, getting ready, etc. ), and in some cases, that was a fair assumption. But before we tackle that topic, we have to go back further and consider how we got to this point. We stopped riding the outside of apparatus pretty much due to the death of a firefighter and the lawsuit that followed. In 1982, Joe Tynan, a firefighter in Brookline, MA, was standing on the right-hand side of the apparatus as it rolled out of the bay door to head to a fire call. As the truck turned left, the centrifugal force caused him to fall onto the apron of the station. The remaining crew in the station ran to him, but he was unresponsive. As a result of the head injuries he sustained, for the next 20 years, Tynan functioned at the level of a 3-year-old and was blind. He died in 2002. An attorney named Neil Rossman (who was also a firefighter) handled the famous lawsuit the followed and changed the industry as a result. Between the lawsuit, manufacturers fearing more lawsuits and related challenges, manufacturers stopped making rigs that encouraged us to ride outside. From design to stickers warning us to not ride outside and lots more, we were forced inside. In the early 1970s, there were two rigs in my firehouse that I rode regularly—a 1958 Ward LaFrance heavy rescue squad and a 1968 Hahn engine company. 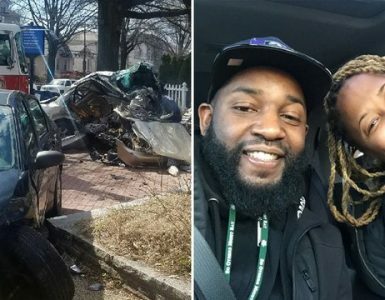 Both had seatbelts in the cabs and jumpsuits, and the rescue had seatbelts on the rear bench seats. The rescue had no roof whatsoever. And we never used the seatbelts. Ever. We rode in the seats, standing up, on tailboards, on the engine housing cover, looking over the roof of the Hahn—anything but in seats using belts. Why didn’t we use them? We never gave it any thought. Remember, back then, we had them in our cars and even that use was questionable. I know there are all kinds of human studies of why people do—or don’t do—the things we should, but the fact is we simply didn’t wear them. In my world, it wasn’t until the 1990s—and in some places even later—that we started using them, and even to this day, some fight it for reasons that the behavioral doctors can address in another article. 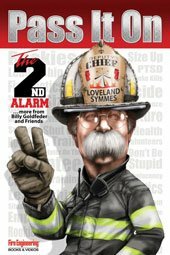 About 20 or so years ago, between several national fire service organizations and the internet (with the internet being the dominating factor), we started giving more thought to wearing seatbelts because we saw unbelted firefighters getting tossed in, around and outside of their fire apparatus. We saw videos, pictures and related media instantly and with much more frequency, and we read more and more about firefighters getting tossed, critically injured and killed. 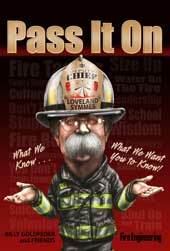 Armed with this often-shocking and startling information, leaders at every level—fire chiefs, fire officers, firefighters, labor and volunteer leaders alike—started taking it to heart. They shared the information, included it with training and even created policies, all so that we don’t get hurt or killed unnecessarily. In some cases, the training and policies were accepted as quickly as a football player obeying their coach, and in others, they were ignored like a bad guy running from a cop. Following a serious close call in November 2010, the San Antonio Fire Department (SAFD) took the leadership route with seatbelts and changed the outcome of a future close call. 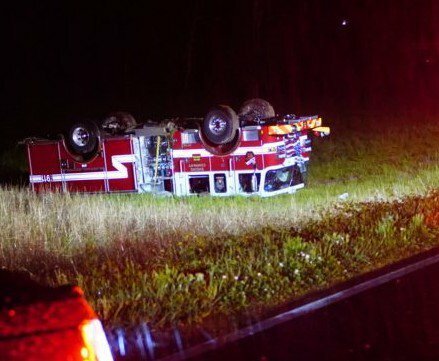 In 2010, SAFD’s Ladder 35 was involved in a rollover accident in which none of the four firefighters on board were wearing their seatbelts. All four firefighters were hospitalized, with one firefighter suffering a neck fracture. SAFD Ladder 35 was responding to the report of a structure fire. While responding, the L35 engineer made an evasive maneuver into an oncoming traffic lane and then attempted to make a left-hand turn. 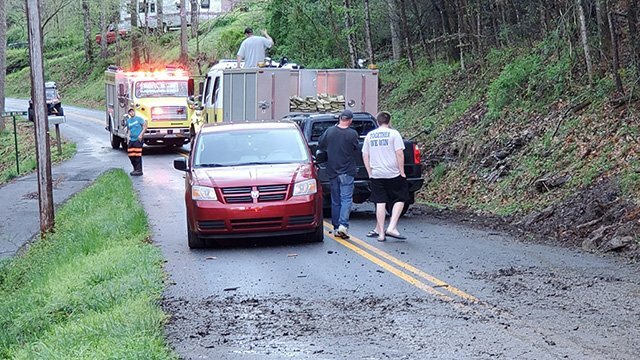 This decision resulted in the ladder truck tilting to the right and turning on its side, sliding across the roadway and coming to a rest against the curb. While responding to this call, none of the four firefighters on board were wearing their seatbelts. All four firefighters were hospitalized, with one firefighter suffering a neck fracture. 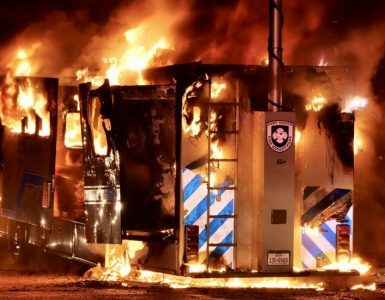 Between the injuries and the destruction of a $600,000 apparatus, the department was shaken up enough to force a change in fire crews’ longstanding disregard of seatbelts. 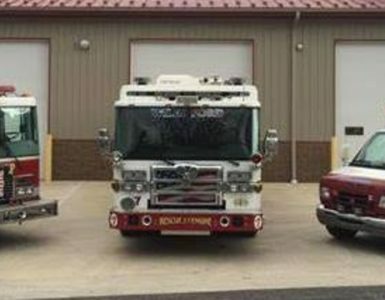 For the first time in the SAFD’s history, three firefighters—the officer, driver and a firefighter (the fourth was a probie and not disciplined)—were suspended for traveling at an unsafe speed and not buckling up. Further, following Ladder 35’s crash, Chief Charles Hood took numerous steps. 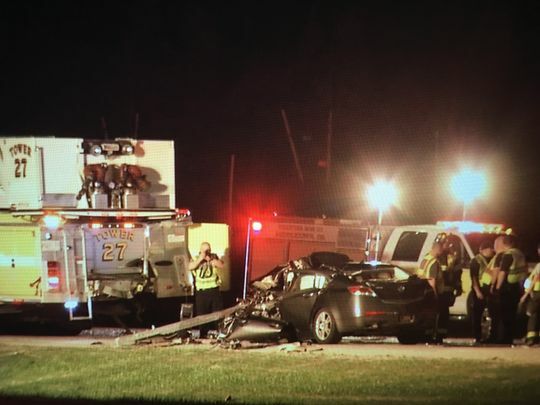 Seatbelt drills were required, drivers received additional training, and all 1,674 operations employees were ordered to visit and observe the demolished fire truck. The cab was displayed at the training academy as a permanent reminder. A new policy was also implemented to hold the captain or lieutenant accountable to ensure all firefighters are belted in before the apparatus moves. While the SAFD was very fortunate that they did not lose a firefighter during this serious event, the outcome of this has not only created a stringent seatbelt use policy for their department, but it has also completely shifted the behavioral culture of the SAFD with regards to seatbelt use while in an apparatus. The lessons learned from this crash have no doubt lead to many positive changes. In May 2018, SAFD Ladder 46 was involved in a rollover accident in which all members were belted. There were no serious injuries.While returning to the station from a run, Ladder 46’s acting engineer noticed that the apparatus was beginning to slide during a long downhill left-hand curve. The acting engineer tried to maintain the direction of travel, but the right rear tires struck the right-side curb, causing a tire to blow out. 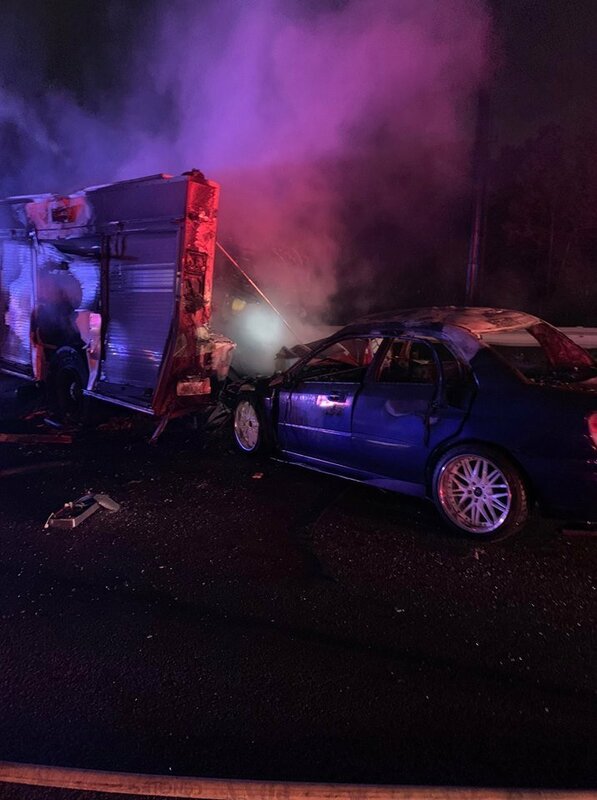 This blowout caused the apparatus to partially spin counter-clockwise into the opposing lanes, narrowly missing a head-on crash with an oncoming vehicle. L46 finished this 180-degree spin, struck the opposite curb with its right side, and then rolled over, ending up on its driver side in a field next to the road. The conditions of the road were slick and wet from recent rains, although the rate of speed was minimal according to the crew. All L46 crewmembers were evaluated by hospital staff for minor injuries experienced during and immediately after the accident. Specifically, two of the firefighters had removed their seatbelts and fell from the high side of the rig to the low side while disoriented following the rollover. 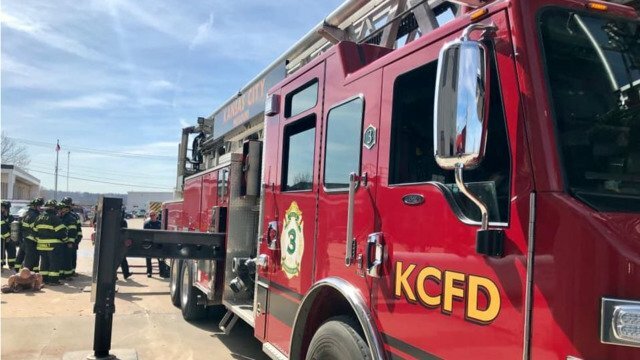 The crew reported minor injuries from equipment shifting inside the rig during the accident, such as an SCBA, fire helmets, and the computer pen pad. The use of seatbelts by all four crewmembers was paramount to them only suffering minor injuries during this event. We make our kids wear seatbelts because we don’t want them to get hurt—because we love our kids. We are expected by those who trust us—our superior officers and the families of your firefighters—to make our firefighters wear them. We must do that because we use the term “brother” and “sister” with apparently some meaning behind it—call it love or something like it. You can love them or not, but when they are not acting responsibly or following policy, then the “backup plan” is the officer making sure that they do. Firefighter survival-related policies aren’t written for your “thumbs up or thumbs down” approval. There is often a reason why we are not asked for our opinions when there is proof everywhere that a policy simply makes sense. That’s where collapse zone, SCBA usage, required hoseline deployments, and 360 degree size-ups came from. They all have a line-of-duty death (or numerous) tied to them. Someone died unnecessarily and someone figured you might want to know about it so you don’t die the same way. I recently read a piece from Dr. Burton Clark about behavior and culture. Clark quoted Dr. Edgar Schein, a well-regarded professor emeritus at the Massachusetts Institute of Technology, who underscores the need to focus on behavior for meaningful change. Dr. Schein identifies a three-stage process that must be used for each behavior change to arrive at a new culture paradigm—a process that can be applied to the SAFD close calls. Unfreezing: This is where the individual, group, team or organization realized that their present behavior is not working or is detrimental. Example: An SAFD rig rolled over and caused great harm. Restructuring: Here, the person or group come to believe they can change and know they must change their behavior. The new behavior is what defines them as a good or a professional person. Example: SAFD leadership and membership realized they needed a change in behavior. Refreezing:This is when the person practices the new behavior with positive reinforcement from others and the organization until the new behavior becomes the norm. Example: SAFD members practiced the new behavior, and it worked when there was another apparatus crash, ultimately resulting in a far different human outcome than the first crash. Our sincere appreciation to SAFD Chief Charles Hood, PIO Joe Arrington and Fire Chief’s Executive Assistant Leticia Friedman for their assistance in providing the details for this month’s column. The SAFD protects a population of 1.5 million people. In 2017, the department responded to 374,000 runs, with 1,757 uniformed personnel operating out of 53 stations. 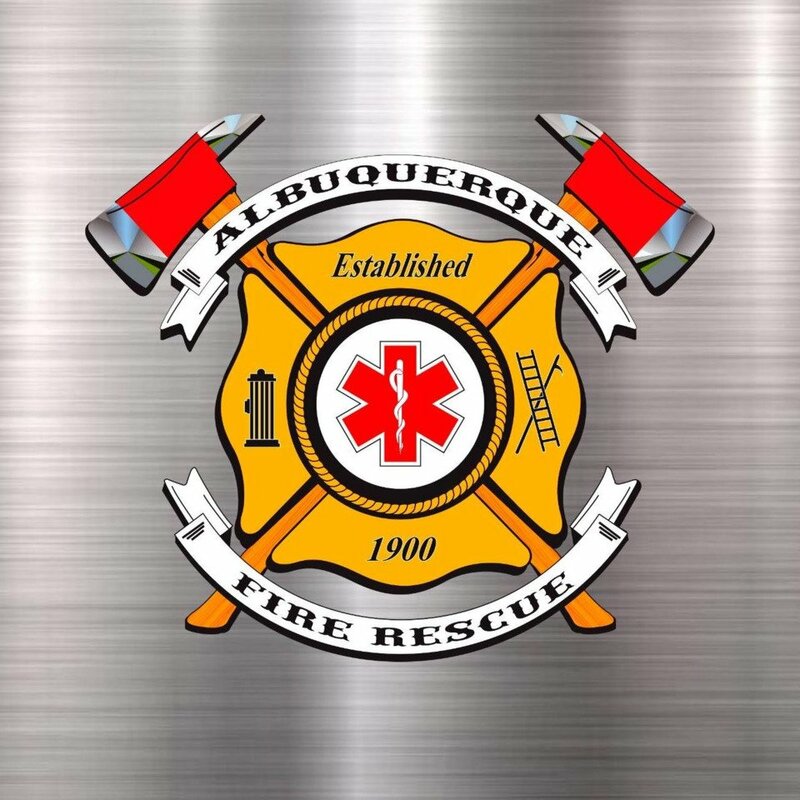 In addition, the department has 54 engines, 20 ladder trucks (one additional truck will be added later this year), 34 full-time EMS units and 8 “peak units” (one additional unit will be added by summer 2018), two technical rescue teams and two hazmat response teams.